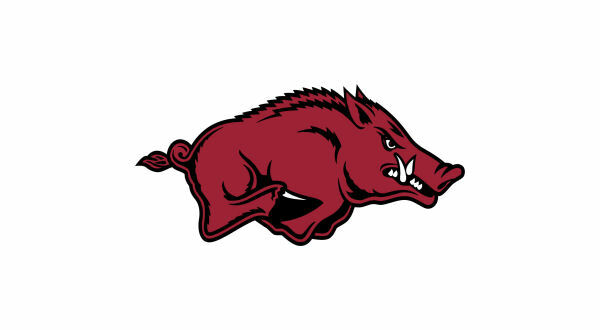 NASHVILLE, Tenn. - The eighth-ranked Arkansas Razorbacks trailed by two runs heading into the ninth inning Sunday against sixth-ranked Vanderbilt, but were able to score five runs and complete a major comeback, avoiding the sweep with a 14-12 victory at Hawkins Field. The Hogs trailed 11-9 going into the ninth, but sophomore Casey Martin got the rally started with a one-out single and was brought around to score in the next at-bat as sophomore Matt Goodheart tripled to left, making it 11-10. Goodheart was 2-for-5 with two RBIs and finished the weekend 6-for-11 (.545) with four extra-base hits and his only RBIs coming in Sunday's game. Junior Dominic Fletcher followed suit with an RBI single of his own to right field to tie the game at 11-11, but the Razorbacks weren't done. After Heston Kjerstad struck out to put the Commodores one out away from getting out of the inning, junior Jack Kenley walked and redshirt freshman Jacob Nesbit doubled down the left field line and gave the Razorbacks the 12-11 lead. Vanderbilt went to its bullpen to bring in its closer in Tyler Brown, but the fresh arm didn't change the outcome as Casey Opitz completed a four-hit day with a two-RBI single to left as a fielding error allowed Kenley and Nesbit to score for the 13th and 14th runs of the day. Opitz had his best offensive day of his career on Sunday, going 4-for-5 with three RBIs and a home run. The long ball came in the fourth inning and was his first of his collegiate career. In the bottom of the ninth inning, Vanderbilt pulled within two after Austin Martin hit the Commodores' fourth home run of the day, a solo shot to left field, making it 14-12. After already using Matt Cronin earlier in the game and Vanderbilt threatening with two runners on base, head coach Dave Van Horn went with righty Marshall Denton to get the final two outs. Denton struck out Vandy's No. 5 and 6 hitters to secure his first save of his career. Arkansas (26-10, 9-6 SEC) churned out a season-high 22 hits in the game and eight of its nine starters had two hits or more. Opitz and Kjerstad both had the top hitting lines with four hits a piece. Kjerstad matched his career-high hit total and had his second four-hit game of the season. He also extended his hitting streak to nine games and has two hits or more in five of those nine games. Redshirt senior Trevor Ezell broke out with a 3-for-6 day at the plate, matching a career-high two doubles along with three RBIs. Martin also had three hits, while Goodheart, Fletcher, Nesbit and Kenley had two hits each. Arkansas is back home for the remainder of the month of April as it will start a long homestand with Arkansas-Pine Bluff on Tuesday at Baum-Walker Stadium. First pitch is slated for 6:30 p.m. and it will be broadcast on SEC Network+.